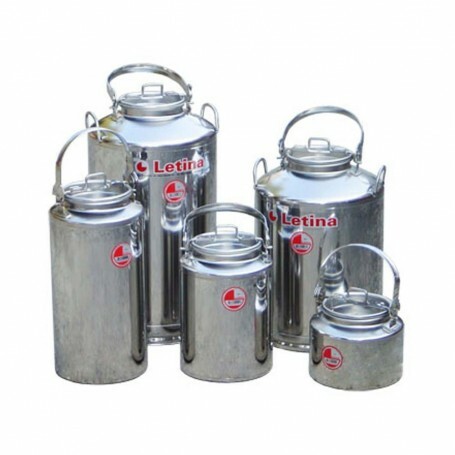 Tank for milk/honey 10l is made from inox AISI304/BA. Tank for milk/honey 10l has surface which is highly polished. Tank for milk/honey 10l has patent closure cover. Tank for milk/honey 10l has carrying handle. Tank for milk/honey 10l that has a top cover of diameter fi 150mm. Available add-ons: Latch for honey, 1/2" pipe.